Lessios, H. A., Lockhart, S., Collin, R., Sotil, G., Sanchez-Jerez, P., Zigler, K. S., Perez, A. F., Garrido, M. J., Geyer, L. B., Bernardi, G., Vaquier, V. D., Haroun, R. & Kessing, B. D. 2012. 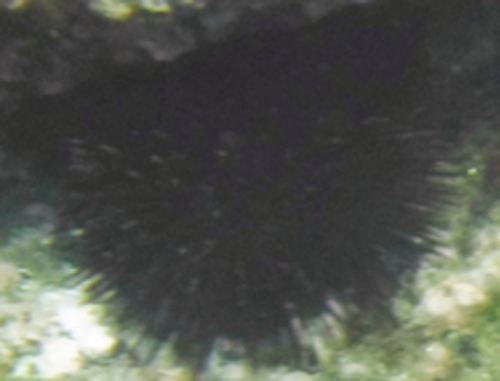 Phylogeography and bindin evolution in Arbacia, a sea urchin genus with an unusual distribution. Molecular Ecology 21, 130-144. Mortensen, T. (1935). A Monograph of the Echinoidea. II. Bothriocidaroida, Melonechinoida, Lepidocentroida, and Stirodonta, 647 pp., C. A. Reitzel & Oxford University Press, Copenhagen & London.